1st Call Utilities - Central Heating Engineer, Plumber based in Bradford, West Yorkshire. We are a well-established plumbing and heating company based in Bradford. Our company's aim is to work for you, the deserving customer. We always endeavour to give you our best plumbing and heating by sending our highly skilled Gas Safe registered engineers. 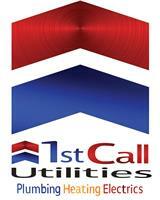 1st Call Utilities offer a wide range of services in the Bradford and surrounding areas, from installing new boilers, landlord certificates to fixing leaks and installing new bathrooms, we are able to offer in house design of plumbing and heating installations on both domestic and commercial properties. We are sure to help you with all your gas fitting, and plumbing needs.